The Dual Power Max has powerful dual rotating brushbars agitate the carpet pile to loosen and lift out tough deep down dirt. 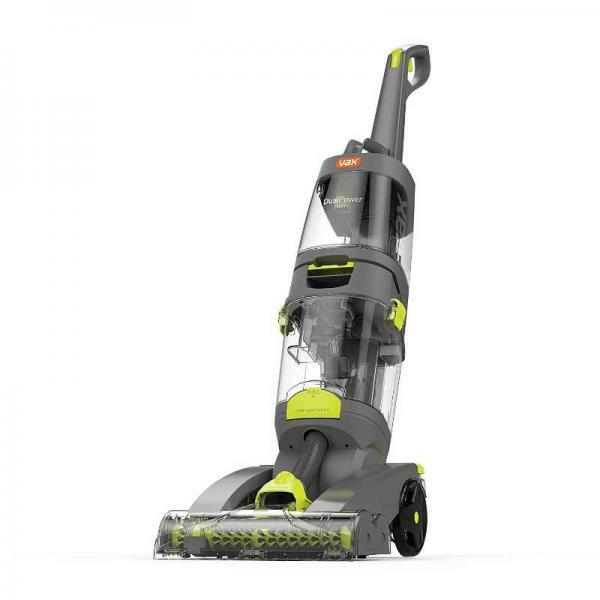 The Vax dual power max has larger tanks for a greater cleaning capacity and less frequent emptying. The Twin tank technology keeps clean and dirty water separate ensuring you only ever wash your carpets with clean water and also makes emptying and refilling, quick and easy.